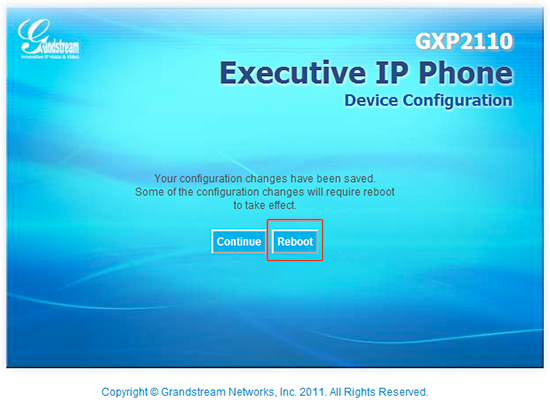 The GXP2110 is a 4-line device refresh of Grandstream's business line of Office IP phones. It offers the necessary features and stability one would expect form a phone meant for business usage in a responsive and simple to use device. 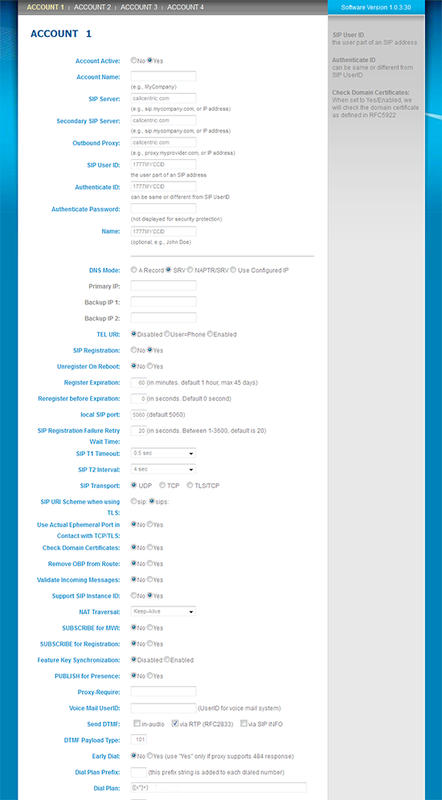 We have found the GXP2110 to be reliable, full featured, easy to configure, and comparatively affordable. These instructions are based on Grandstream GXP2110 software version 1.0.4.9; if you are running a different software version some menus and settings may be different. These instructions are also based on using the GXP2110 in its factory default configuration, which obtains a dynamic IP address automatically from your router using DHCP. 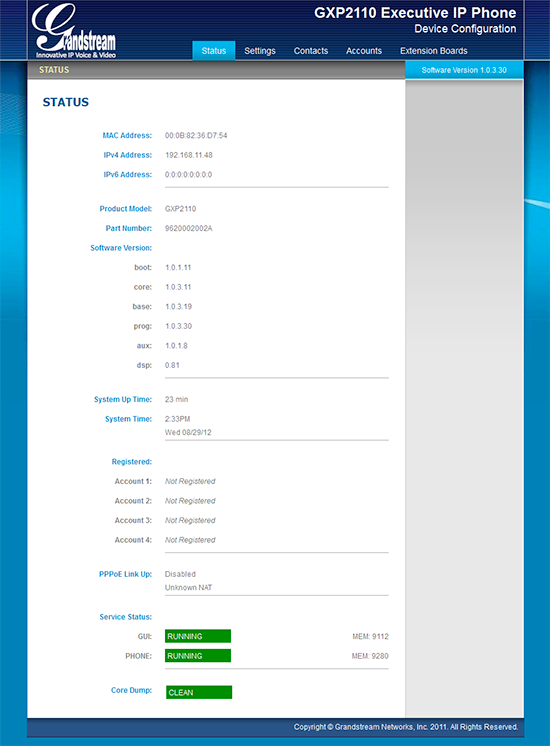 For information on configuring your GXP2110 with a static IP address please refer to the GXP2110 user manual. Configuring the GXP2110 is relatively straightforward; while there are many options available you only need to edit a few of them to get up and running. Connect your GXP2110 to your router or switch using the included Ethernet cable. Once that is done, plug the AC adapter to your phone. Then plug the other end to an available power outlet. Once you have powered up your GXP2110 plus wait 60 seconds for it to fully boot up. 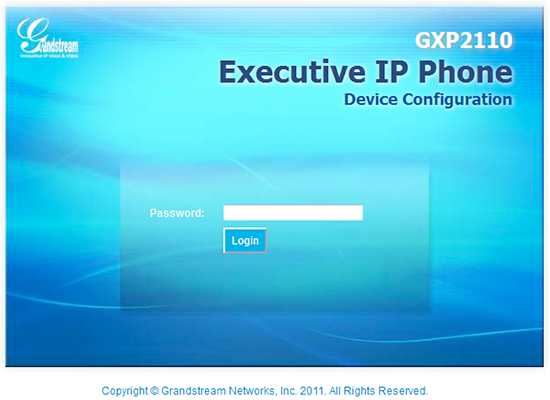 On the LCD Screen of the phone, directly beneath the Grandstream logo you should see the device's IP address, which will be in a similar format to 192.168.1.10 for example. Note that the actual numbers you see will most likely be different. On your computer launch your favorite web browser such as Chrome, Firefox, Internet Explorer, or Safari, and enter the IP address that you see on your phones LCD screen in the address bar(the same location where you enter web addresses). Once all changes have been made please click the "Update" button on the bottom of the page, then "Reboot" on the page that you are brought to after the update. To test inbound calls from Callcentric to your GXP2110 installation, follow the directions listed in this FAQ.